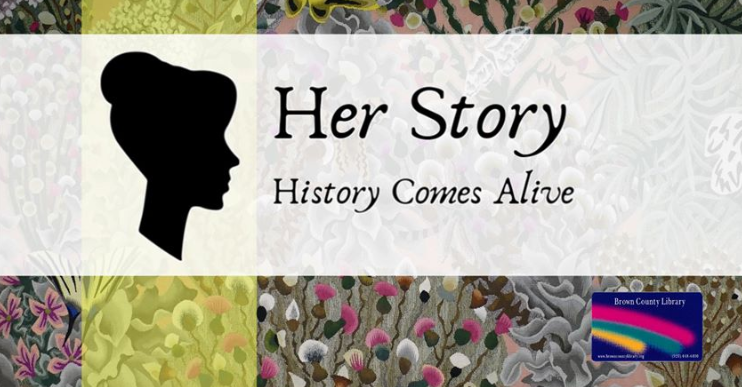 This series explores US history from the female perspective. A captivating performance, in character and period costume, will be followed by Q and A with the audience. Thank you to the Friends of the Brown County Library for funding this series! April 23rd – Cordelia Harvey visited Union hospitals and assisted with treating soldiers during the Civil War. She became First Lady of Wisconsin when her husband, Louis Harvey, was elected as Governor. May 9th – Susan B. Anthony was a women’s rights activist and played an essential role during the suffrage movement. May 23rd – Caroline Quarlls ran away from slavery in St. Louis and sought help and refuge in Milwaukee.